December 27, 2011 By Paul Mayer & filed under Buying Advice, Tool Education. Objective readout: Have you ever noticed how much difference your viewing angle can have on a measurement? If I get my eyeball right in front of the measuring tool I get one value, but if I am lazy or rushed and view from a slight angle, I can be off by a meaningful amount. If I measure it and then ask someone else to measure it, chances are good we will read it slightly differently. With digital, the measurement is the same from any angle by any person. Clarity: Is that a 32nd or a 16th of an inch? Which degree line is that closer to? Where the heck are my glasses? If you are 40 or older, you know what I am talking about. Because digital devices do not need to cram a bunch of numbers onto the scale, they can display the only number that you care about at the time in a font size that can be easily read by anyone. I don’t even need glasses or extra light. Repeatability: Digital precision means superb repeatability. Did you cut a bunch of pieces at an odd angle yesterday, and today you realize that you need one more? Repeating yesterday’s setup of a tool can be tricky, but if you set it up using a digital tool once, you can easily return to that exact setup value at any time in the future. Is digital more accurate than analog? Not necessarily, but don’t get too hung up on that. Digital measuring devices are not inherently more accurate than their analog counterparts, but given the other advantages that they do offer, I feel strongly that the end result is more accurate woodworking in my shop. They offer more precise readout in almost all cases, measuring in extremely fine increments of thousandths of an inch or tenths of a degree, but that granularity doesn’t mean that they are necessarily more accurate. I didn’t go to great lengths to verify the degree of accuracy, but I checked these tools against calibrated bar stock, engineering squares, etc., and found the tools to be consistent to one another and to the standards that I was using within a range of .002″ or .1 degree. Heck, on a good day I can only discern to a 1/64″, so these deliver more accuracy than I will ever need. But in fairness to the scientists and engineers who may be reading, I need to point out that digital does not imply perfection. As an example of this, it is hard to beat the precision of a good engineering square for setting your saw blade square to the table. A digital angle gauge can dial this in to within a tenth of a degree, but a good square could theoretically do better than that. But, how about when you need to set your blade angle to 73.6 degrees or some other oddball angle? That is where digital wins every time, especially if you need to return your saw to that same setting tomorrow or next year to match a cut that you have made. All Roads led to Wixey Digital. When I started doing some research in this category, I found a long list of tools that had incorporated a digital readout. I decided to keep my focus relatively narrow, looking at only those products that I felt I would use regularly in my shop, figuring that I can always expand my digital arsenal later. When looking at the various categories of digital measuring devices, it became apparent that Wixey Digital was a strong innovator in this space, with offerings in nearly every type of tool that I cared about. They also seemed to be one of first entrants to market in each category, which suggests a pattern of innovation that I find appealing. Their modest price points are also appealing to thrifty hobbyist like me. Their reputation is also impressive, evidenced by solid reviews and chatter in woodworking forums. For all of these reasons I decided to focus this article on the Wixey product line. To be clear, there are other products in some of the categories that I examined, but no single company that offered a full portfolio of digital measuring products in a consumer price range. Consistent user operation. Simple push button operation; zero it out, determine your scale, and read the measurement. Also, the access panel for battery replacement was simple, and the same from tool to tool. Same battery in most cases. Most of the tools use the same button style battery, while only the digital angle gauge required standard AAA batteries. That simplifies sourcing of replacement batteries; just keep a couple on hand that can replace a dead battery in any tool and you are back up and running in no time. Also, battery swapping is an easy, tool-free operation. High quality. The items were all solidly constructed with smooth moving parts. In my conversation with Barry Wixey it became clear that he is a fanatic about quality and engineering precision, so I would have been shocked with anything short of this. Easy metric/or English system conversion. With a quick push of a button you can switch back and forth between measuring systems. Clear user guides. In some cases these tools are so incredibly simple that you wouldn’t ever have to look at the manual. That is a hallmark of great tool design. In the case of the items that need to be installed to a variety of different tool models, there is enough variability to this process that documentation is critical. Wixey exceeded my expectations in every case here. Directions were clear and well illustrated across the board. First up: Angle Gauge. The digital angle gauge measures the angle of an object relative to a base that is established by “zeroing out” the gauge. This was my first purchase from Wixey, and the fun that I had with it was the reason for contacting them for more. Simple to use. The device is astonishingly simple considering the sophistication of the underlying technology. 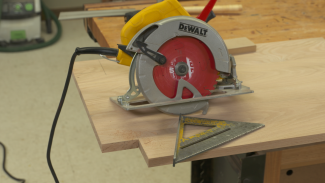 Just zero it out on a flat surface such as the table saw bed, then it sticks magnetically to the item you would like to measure such as the table saw blade shown here. It is easy to set for common positions such as 90 and 45 degrees so that you can check and adjust your positive stops (mine were off), but it is superb for dialing in any odd angles that you might have to cut for crown molding or other projects. This will eliminate a lot of trial and error (on the down side I will have to find another source for fire kindling). Square up everything! I immediately squared up all the tools in my shop, and tweaked the positive stop adjustments in nearly every case. As I said previously, this can also be done effectively with an engineering square, but this tool does a great job as well. I checked the accuracy of the device against an engineering square and it was spot on. Next up: Digital Caliper.The Wixey digital caliper features a 3 in 1 tool design. It checks for distances both outside and inside, as well as depth and steps. Fractions and decimals. I have to admit that I already owned one of these, but I made the mistake of buying one without fractional readout. I was not a math major, and converting decimals to fractions on the fly makes my furniture come out with some interesting details, so this caliper is much better. Inside. 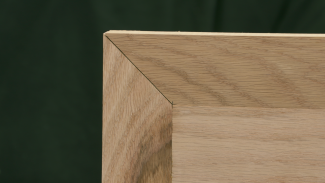 Easily measure the inside width of an opening or a dado. Depth. This tool offers a nice capability to precisely measure the depth of an area. I have struggled on many occasions to accurately measure of the depth of something that my ruler wouldn’t fit into by using nails, scraps, etc., and the small size of the depth probe on this tool and the precision makes the feature alone a great addition to my tool arsenal. Height gauge. This tool allows you to measure the height of an object, which is particularly useful when setting up a saw blade, dado blade, router bit, or other application where height is important to the precision of a joint. Operation is simple; zero it out on a flat surface and slide the arm to the height of your object. Perfect height every time. Of the many times I have leaned over, squinted, and tried to set the height of my saw blade, router bit or dado blade with my traditional height gauge or ruler, I never get it right on the first attempt. I don’t mean that sometimes I nail it and sometimes I am off, I mean NEVER. With this gauge, it is super easy to quickly set the height for these items. Again, it doesn’t matter if you’re viewing angle or perspective on the whether the height gauge is actually on the surface or slightly off. This thing lets you dial in the height with an impressive degree of precision on the first attempt with no bending or eye strain. Router readout. This tool measures the distance that a router bit raises or lowers. 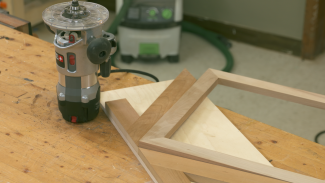 It can be set so that distance is based on the top of your router table, or a relative distance from another point that you set, such as the initial height of your router bit (so you can determine how much the bit has been raised during your operation). This tool wins my award for “exceeds my expectations by the greatest degree.” It is a great convenience to use this to measure depth of cut for mortises, as an example, giving you the ability to monitor the changes in bit height in real time as you make adjustments. This upgrade made my homely router table feel like a world class workstation. Watch your adjustments in real time. Simply raise and lower the bit with instant feedback as to the height of your bit. It doesn’t get cooler than that with measuring devices. Protractor. This unit provides a high quality protractor with clear digital readout. I find myself actually using a protractor now because this one is easy to use, whereas I had previously avoided using one wherever possible, relying upon trial and error. Dial in that miter saw. This is great for use in the shop for calibrating positive stops on radial arm and miter saws, and also for carpentry activities and other DIY projects. Saw Fence Readout. This unit gets installed onto the existing fence rail on the table saw, and adheres magnetically to the fence locking mechanism as it travels down the rail. It was easy to install on my fence, and the installation is generalized enough so that it seems like it would adapt well to most table saw fences. Improved the best fence I have ever used. While my Biesemeyer fence provides great overall accuracy, I am always looking for more precision and repeatability out of my table saw. Plus I love how I can recalibrate this digital readout easily for use with thin kerf or full kerf blades, dado blades, or even when I have a sacrificial fence in place. This device took me about an hour to install, and now that it is up and running, it operates as if it was part of the initial fence design. The integration is seamless, and the operation is foolproof. Planer Readout. This device is installed directly onto a planer, and measures the height of the planer knives, or in other words, the thickness of stock that will exit the planer. This is a great aid if you need to plane to a specific thickness, which I find myself needing to do on a somewhat regular basis, particularly when the board will be inserted into a dado. Great upgrade over built-in scale. The precision and clarity of the digital planer readout beats the built-in scales by a mile. Many planers include a measuring scale to determine thickness of cut, which gets you in the ballpark, but the scales are normally pretty coarse so precision is nearly impossible. Now I can set my thickness to within a few thousandths of an inch and feel much more confident that the thickness of the work piece will meet my requirement. Greate,but I have not seen enything like these in Romanian stores. 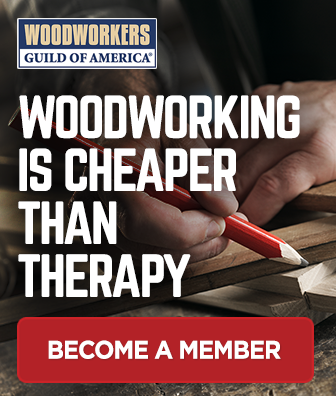 I’m a rather new woodworker so when I make a purchase I buy digital. At 47 I have a hard time reading most of the traditional dial scales even in my well lite workshop. Playing with my new planer yesterday I was able to to remove 1/32 of an inch across a 24″ board and verify it with my digital caliper. I would feel less confident reading that on a dial scale caliper. . I doubt I’ll need that level of precision in most my work but it’s a great learning tool. If I already owned the tools I wouldn’t abandon them just to buy digital but as purchases are made digital is the way to go for me. I think your approach makes sense. I have checked the digital planer readout against a digital caliper a few times and found them to be consistent, but having said that, if the measurement needed to be precise I would still use the caliper as I dialed in the final cut. Hi Doug. I think it will be fine for the sides and top, but I’d be concerned about its strength for the front and rear panel. Slicing it that thin to make the front and back might make it susceptible to cracking when it is struck. But I have not had experience with this, so I’m just speculating.